Far removed from their days as all-star players for Bellaire Little League, Blake Glauben, Ryan Olive and Bennett Notestine have had quite the reunion on the collegiate baseball level. 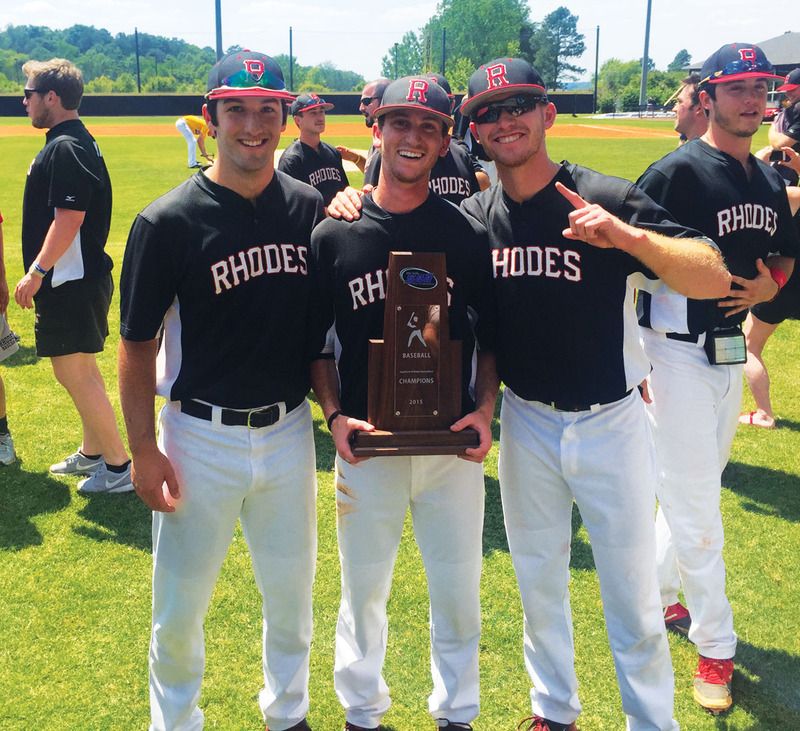 The trio recently led the Rhodes College Lynx to the first conference championship in school history, with the NCAA Division III team winning the Southern Athletic Association title. Notestine, who played high school baseball at The Kinkaid School, and Glauben, an Emery/Weiner School alum, played on the 2007 12-year old Bellaire Little League team, while Olive, a St. Thomas High School graduate, was on the 2006 Bellaire squad. 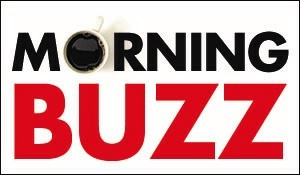 “Admittedly, we still talk about those Little League days, and we try and keep up with the guys from back then who went on to play college baseball,” said Notestine. At the collegiate level, Notestine is the Lynx starting left fielder, and he led the team in hitting with a .387 average. Olive, the starting centerfielder, led the Lynx in RBIs (42) while hitting for a .319 average. Glauben, a starting pitcher, also led the team in saves, including saves in both wins at the conference championship series. Over at St. Agnes Academy, it’s been a special reunion on the high school level for a group of nine players who are all products of the West University Softball Association. This past season, Maddie and Colby Heno, Quinn Biggio, Jordan Howard, Zoe Clutterbuck, Alice Watts, Zoe Narvacan, Maddie Van Brunt and Taylor Lee helped lead St. Agnes to the TAPPS 5A regional finals. “We’ve all been great friends since we started playing softball at WUSA,” said catcher Maddie Heno, a three-time TAPPS 5A all-state player. “WUSA really gave us a solid foundation with great coaches.” Heno’s sister Colby, a freshman pitcher, was also named first team all-state, as was shortstop Quinn Biggio. It isn’t only at St. Agnes that the WUSA players are making an impact, with approximately 100 products of the league currently playing high school softball in Houston. In addition to St. Agnes, the majority of the girls play for Episcopal, Lamar, Bellaire and St. John’s. As for Episcopal, where the Knights have won three straight SPC titles, seven players started in the WUSA program, including all-SPC picks Emily Fraser, Izzy Haugh and Sarah Venker, as well as Daryn Grams, Jenny Lillard, Charlotte Spector and Christian Cain. For Lamar, University of Kansas commit Courtney Taylor is a product of WUSA, as are Mary Tindall (NYU commit), Meghan Dickson, Allie Burns, Alex Rocha, Peggy Polydoros and Gracie Burns. The St. John’s softball team has five WUSA alumni, including Georgetown commit Anna Brooks Pacha, plus Alyssa Barrett, Laurel McKelvey, Julia Waller and Tanvi Varaduchary. If all that weren’t enough, Bellaire freshman Jolie Dong, the District 20-6A MVP, is from WUSA, as is her Bellaire teammate, Sydney Moore. 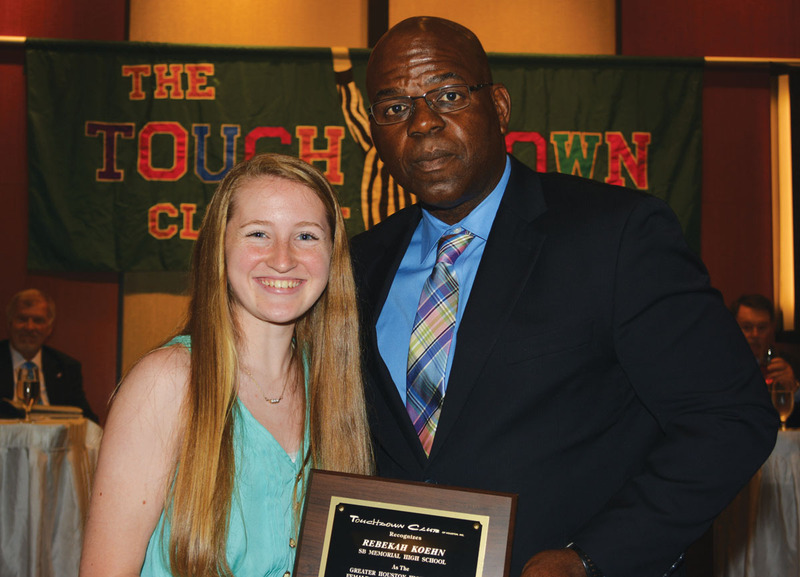 Memorial High School soccer player Rebekah Koehn was one of four Mustangs to win Scholar Athlete of the Year awards from the Touchdown Club of Houston. Pictured with Koehn is HISD assistant athletic director Andre Walker. It was an impressive showing by a contingent of Memorial Mustangs at the Touchdown Club of Houston’s 49th annual Spring Sports Scholar Athlete Banquet. Memorial’s Rebekah Koehn (Girls Soccer), Alexandra Buscher (Girls Swimming), Lauren Deutser (Girls Track) and David Van Slyke (Boys Track) were named Scholar Athletes of the Year for their respective sports, as was Stratford Spartan Reese Davis (Boys Basketball). Judging was based on athletic and academic achievement as well as community service and extracurricular activities. Meanwhile, a number of other local athletes were Scholar Athlete of the Year finalists in their respective sports, including Stratford Spartans Kathryn Arcy (Girls Basketball), Lauren Newman (Girls Soccer), Javier Lehtinen (Boys Tennis) and Timothy Purvis (Boys Golf). Also making the list were Memorial’s Will McNulty (Baseball), George Doykan (Boys Golf) and Elizabeth Doykan (Girls Golf), as well as Strake Jesuit’s Ashton Radvansky (Boys Golf), Anthony Ashley (Boys Swimming), Blake Bordelon (Boys Track) and Gus Sulentic (Boys Wrestling).